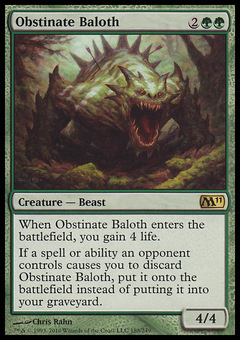 Obstinate Baloth ($0.95) Price History from major stores - M11 - MTGPrice.com Values for Ebay, Amazon and hobby stores! 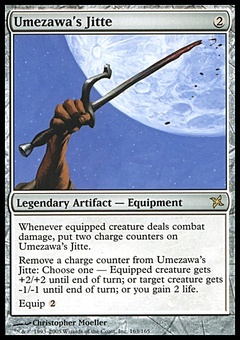 Card Text: When Obstinate Baloth enters the battlefield, you gain 4 life. 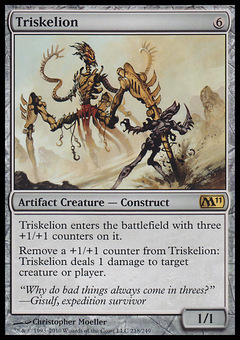 If a spell or ability an opponent controls causes you to discard Obstinate Baloth, put it onto the battlefield instead of putting it into your graveyard.